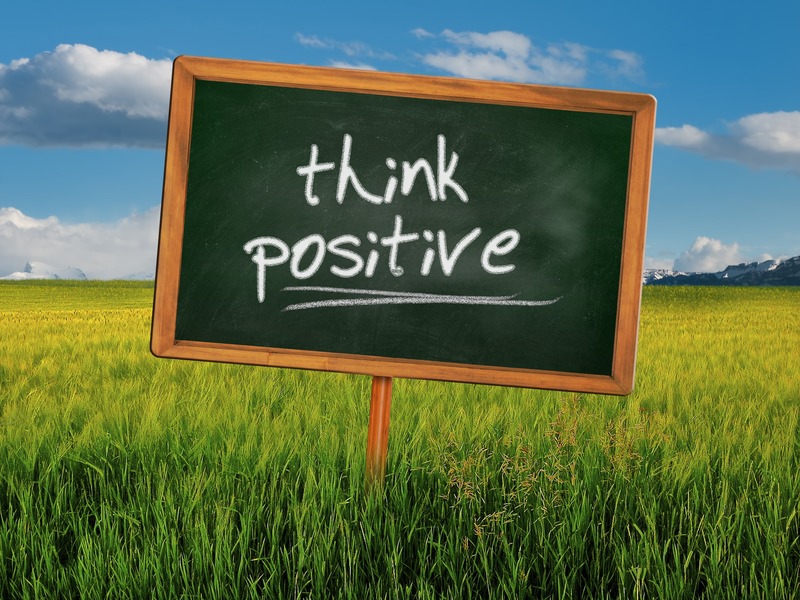 Affirmations are simple, effective, positive statements concerning a goal or an aim. They are mantras that when repeated multiple times over a period of time can have a profound effect on the conscious and subconscious mind. They are a daily exercise that re programs the subconscious for a successful outcome. They help to eliminate negative, limiting beliefs and blockages to achieving aims and transforms your world to a more expanded one where anything is possible. Can’ts become Can’s and fears and doubts become confidence and certainty. Affirmations are reminders to your subconscious to focus on your goals and to come up with solutions to challenges that might prevent progress. They can also create higher vibrations for happiness, joy, appreciation, and gratitude and based on the laws of the universe and the Law of Attraction this helps to manifest your desires more effectively, basically if you keep repeating it, it will happen! Whether you are aware of it or not, you are always using affirmations on a daily basis, but quite often they are not positive, transformational ones, they tend to be limiting or negative for example ” I can never stick to a diet” or ” I’m never going to meet Mr. Right”. If you keep saying it, it will happen! So you need to learn how to create a positive, really effective affirmation to help you achieve your aim. State it in the positive. Affirm what you want, not what you don’t want. Our subconscious mind ignores the word ‘not’. So, delete this word from your affirmations. “I am not afraid of public speaking” gives us the message that you are afraid. Use, “I feel relaxed as I speak in public”. Keep it brief. Shorter is better. Affirmations with fewer words are often easier to recall, especially in situations when you feel some stress. You could even make them rhyme. Make it specific. Always only focus on one thing at a time and be very clear. Make affirmations for yourself, not others. Intent also plays a part, if you write it, you know how it makes you feel, your intention carries energy to the affirmation. I am open to receiving…. Remember, when creating affirmations you want to create positive, self-affirming, self-empowering statements that uplift and inspire you – that raise your emotional level and your self-esteem. 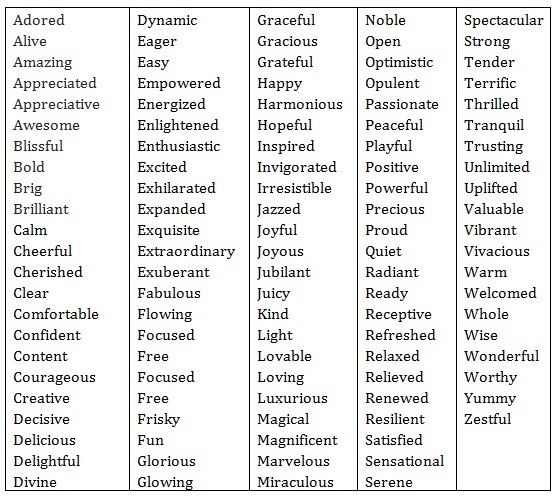 Here is a list of positive words to help you create your affirmation. When you’re satisfied and comfortable with the wording of your affirmation, start using it right away. Repeat your affirmations at least three times daily—first thing in the morning, midday, and just before you go to sleep, repeat it to yourself throughout the day. You can even leave yourself little post it notes with your affirmation on, write it in a journal, put it on a vision board or use it as a meditation mantra. If you keep repeating it, it will happen.